Do you have a personal finance lover in your life but you’re not quite sure what to get him? Are you a personal finance enthusiast but don’t know what to ask for? Or maybe you have children or teens and you want to give them a gift that will help them in the future. Or even better, maybe you're looking for that subtle gift to give someone who needs to be better with their money and you want to point them in the right direction? Being a PF nerd myself, I thought I’d make it easy for you. If you’re wondering what to get the personal finance lover in your life, here are seven ideas. 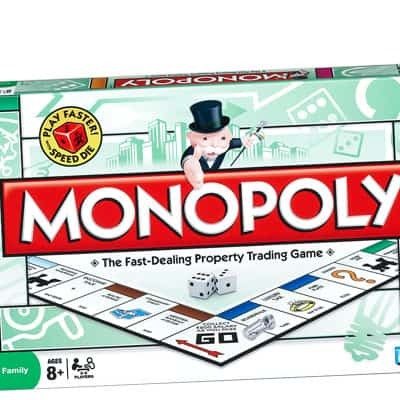 If the personal finance enthusiast in your life has a bit of playful side then he’ll love getting a money-related board game. Board games are an excellent gift that can be fun for a family or group of friends to play. And who doesn’t love Monopoly? I used to play this game all the time as a kid and I would still enjoy it now. Here's some more personal finance board games if you want more ideas. Most of the personal finance nerds I know (myself included) love books. There’s a good chance your PF lover may already have a nice collection of personal finance books so you might have to do some investigating before buying. 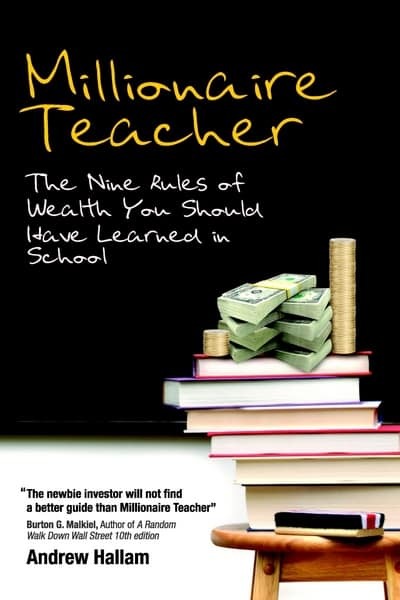 If you want more ideas, check out our list of the best personal finance books to start investing here. I’m sure by now you’ve seen the commercials for the NeatDesk. If not, a NeatDesk is software that includes a scanner. The user simply scans her documents through the NeatDesk scanner and the scanned documents then get uploaded into the user’s computer and become searchable documents. NeatDesks are pretty pricey but if you have a large budget this gift would help your finance obsessor stay completely organized. This would be a fantastic gift with tax season lurking nearby. 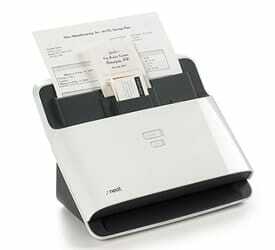 Another alternative is the Fujitsu SnapScan iX500 Scanner. This is a little cheaper than the NeatDesk and also allows you to scan to the cloud. You can connect this with Evernote and really go paperless! If you’re not sure what your personal finance enthusiast already has in his library, a magazine subscription could be the solution. There are several great magazines on the topic of money. Plus, you can usually get magazine subscriptions for up to 90% off using services like DiscountMags. You could even look into getting magazines related to your friend’s specific interests. There are magazines on all types of specific topics like real estate, stock market investing, and business, just to name a few. A money-related magazine would make a fantastic and inexpensive gift. Tax season is right around the corner and if your PF-loving friend files her own taxes, tax preparation software would be an awesome gift. There are several options but the most common tax preparation programs are TurboTax, H&R Block tax software, and Tax Slayer. You can find the full list of the best tax software here. This would be an amazing Christmas gift — just in time for the tax season. Computer software — to be specific, finance software — is another great idea. I personally love staying organized and a good money management program is a nice way to keep everything in order. 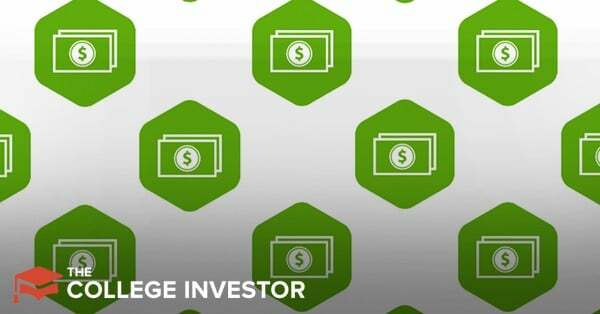 There are paid and free versions of several different money management programs. Although a lot of these programs are similar, Quicken seems to be the most popular paid version. While some people are crazy over money management software, there are still old-fashioned people (like me) who’d prefer a budget book and pen. Budget books are just what they sound like: a book full of budget templates! Check out this simple Budget Planner here. If you don't know what to get, just give cash or a variation of it - like giftcards or even stock! Gift cards are great gifts for just about everyone and I think they are especially great gifts for personal finance lovers. Ninety-nine percent of personal finance lovers enjoy saving money. By purchasing them a gift card they’ll get to save money on their normal expenses. The more practical the gift card the better. You can also give the gift of stock! This is a really cool gift for the personal finance lover because you're helping them save for the future in a unique way! Check out our full guide on the best way to give the gift of stock. 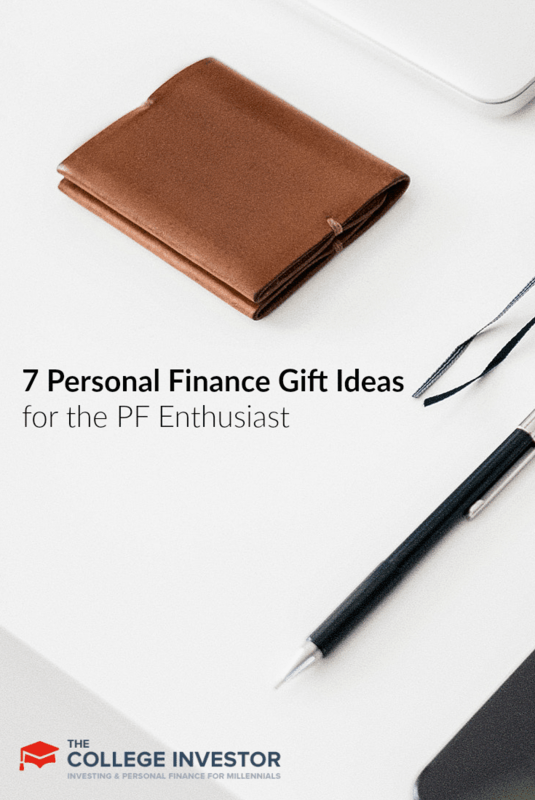 There you have it — more than seven gift ideas for personal finance lovers. Happy shopping! What would you buy a personal finance enthusiast? When I graduated high school and was getting ready to go off to college, my parents bought me Quicken software. I have loved that software ever since. It’s a powerful tool!